At 19.99 it is low risk high reward. Went head and bought black spider, low light and a viper. If legit, i will keep my official final 12 in my moc wall display. I guess my only real question is why the preorder? Assuming these are factory leaks then they should already have them ready to ship? If they are being manufactured, then doesnt that imply these are fakes or a unofficial second run with copied molds? 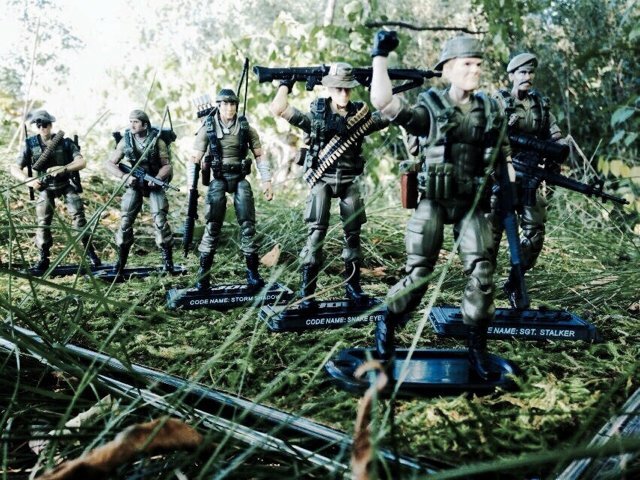 If thats the case, i would imagine the same china manufacturer has fss1-8 ( i think i remember Brian saying in email they switched manufacturers at some point) and we could be getting a endless china inventory of $19.99 joes? That sequence doesn’t stack up. These have bootleg/KO written all over them but for $20 with eBay buyer protection it’s low risk to buy and try. I got the same message, we’ll see what happens. Seller gzfr555 has marked mine as shipped. The other 2 haven't done anything. I wonder if Brian Savage is using shell Chinese eBay accounts to dump extra merchandise? That's not possible. There is no way Brian would have 99% feedback. I just had a new thought this morning concerning the Coils O'Doom figure 12 of 12 from the G.I. Joe Club Exclusives Final Twelve series. I used to think that maybe his face was damaged due to the nature of his work with explosive devices detonating in close proximity, but then I thought about the card art showing him reaching for one of the poisonous snakes he uses for their venom "to quickly eradicate his assigned targets". The snake which he comes with is a Red Spitting Cobra of East Africa, which sprays jets of venom into the face causing burning pain and blindness. Rarely lethal, but an effective burn agent. It made me wonder how much of his facial damage could be chemical burns from this snake's venom over an already cut or damaged face? Yes, we know, you're still hoping they are bogus. Relax, Brian. We'll see how it goes.